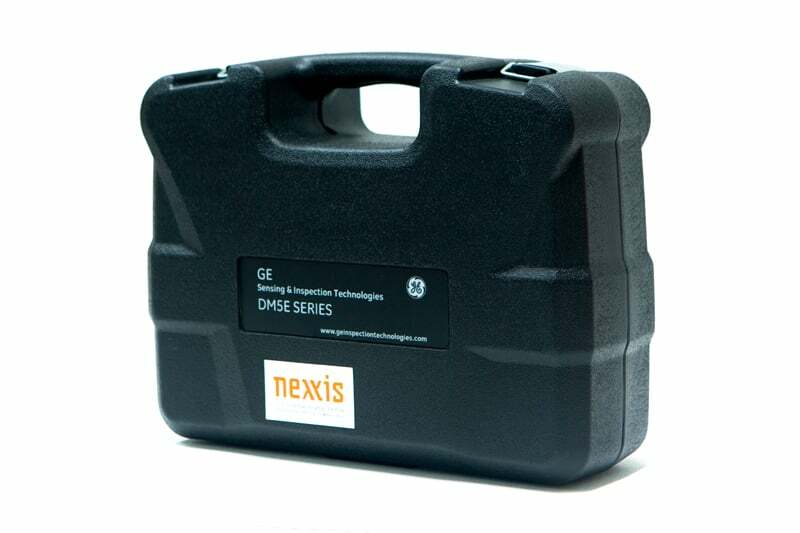 The DM5E series is the most recent evolution in portable corrosion monitoring thickness gauges from GE Sensing & Inspection Technologies. The DM5Es features advanced thickness measurement stability and repeatability at normal and elevated temperatures and have been designed for use in the most extreme environments. The DM5E basic is a rugged yet lightweight unit, specified to EN15317, and is ergonomically designed for single handed use. It features a backlit LCD data display with easy to use, intuitive controls and a water and dust resistant sealed keypad. The DM5E basic includes a variety of features including Min/Max capture, B-Scan generation, alarms and differential thickness measurement to allow instant comparison between measured and nominal thickness. 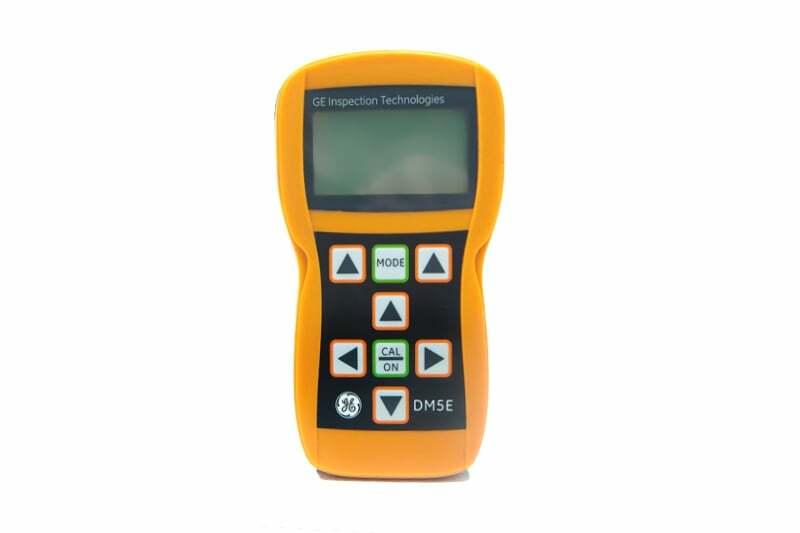 The DM5E showcases all the features of the DM5E Basic but also offers the DUAL MULTI operating mode which enables measurements to be taken without the need to remove protective coatings from components. Upgrading from DM5E Basic to DM5E can be done in the field. The DM5E DL has the same functions as the DM5E with an additional built-in data logger supporting grid style data file formats, capable of holding up to 50,000 readings. With the DM5E DL, data can be exported to a PC via the Mini USB Com port or can be exported directly to Microsoft Excel through a macro. Both DM5E Basic and standard versions are easily upgradeable to DL versions. The DM5E series features a set of ultrasonic probes that enable the instruments to operate with optimized performance at extreme temperatures. The DM5E series includes a 5 MHz standard probe for general use, a 2MHz version, for high penetration as well as a 7.5MHz fingertip probe. A newly developed 5MHz high temperature probe offers an operating range from -10°C up to +204°C. Contact us to find out more about the DM5E Corrosion Thickness Gauges, or any of our other radiographic and CT equipment, or request a quote online.